It’s hard to manage your finances, let alone in two countries – ask any snowbird or Canadian who regularly crosses the border for shopping sprees down south. 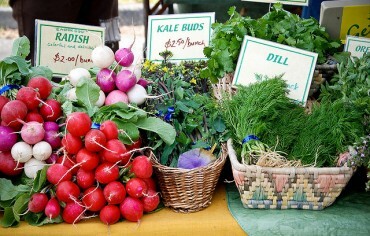 You need two of almost everything, from chequing accounts to credit cards. Opening an account at a US bank is an option, but you might not be able to get a US credit card because you don’t have a US credit history. It’s also a hassle to get cash into those accounts because you either need a money order or have to cross the border, find a bank branch and deposit the cash. a US dollar credit card issued by a US bank. Trips to the US and abroad also means dealing with foreign currency. You might think your credit card provider is doing you a favour by converting your foreign purchases back into Canadian dollars, but think again. Foreign currency conversion fees are often hidden within your credit card statement – blended in with the exchange rate so you don’t even notice you’re paying extra on your purchases. Every major Canadian financial institution charges around a 2.5% fee for foreign currency conversions on credit card transactions, a stiff penalty that cancels out any rewards you might have earned for using your credit card for purchases while travelling. So, what’s a traveller to do? Luckily, there are a few no foreign transaction fee credit cards for Canadians looking to save money on foreign travel as well as on items purchased online through foreign retailers. 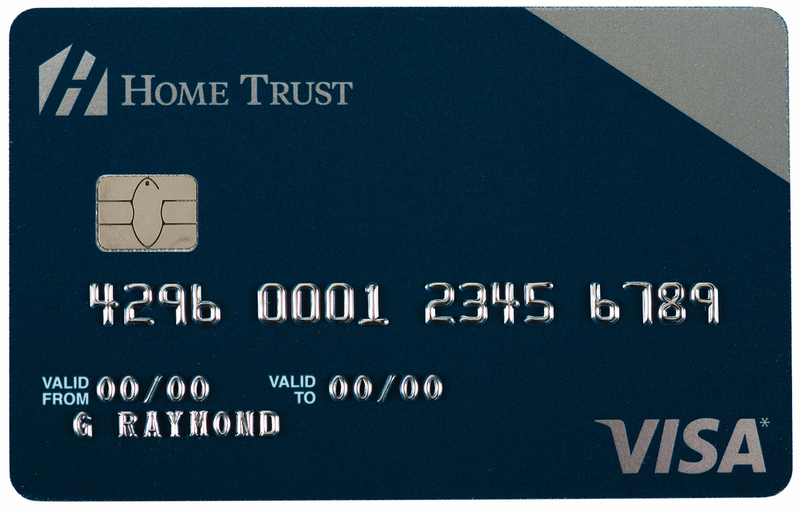 Home Trust – a subsidiary of Home Capital Group Inc., which is known for its line of secured credit cards – charges no foreign transaction fee on its Home Trust Preferred Visa Card. That means customers using this card will save the 2.5% foreign transaction fee when making purchases in a non-Canadian currency. The Home Trust Preferred Visa also offers 1% cash back per dollar on all purchases (include those made abroad), charges no annual fee and includes a built-in roadside assistance membership – a major perk for cardholders who also own a car. It’s worth noting that for all the card’s benefits, you are limited to a maximum of ten transactions per day. If you plan on using a mix of cash and credit or don’t intend on using plastic frequently while abroad, this card is an ideal choice. 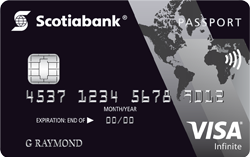 A premium alternative to the Home Trust Preferred Visa, the Scotiabank Passport Visa Infinite is a no foreign transaction fee credit card that is catered to frequent travellers and comes with a lucrative 30,000 point bonus, free airport lounge access through Priority Pass and a $139 annual fee. Plus, this card offers 2X the points on restaurants, groceries and daily commuting expenses such as taxis and public transit. Points can be redeemed for flights and other travel-oriented rewards. There are a handful of other credit card choices that allow Canadians to save on foreign transaction fees. The Rogers Platinum and Rogers World Elite MasterCards offset foreign transaction fees by offering a higher cash back return of 3% and 4% per dollar on foreign purchases respectively, while Brim Financial waives foreign transaction fees on their portfolio of credit cards. 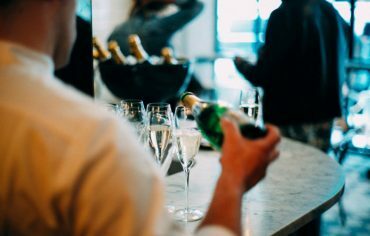 Best suited for: Frequent travellers to the US and abroad who want to avoid the 2.5% foreign transaction fee that most major credit card issuers charge and who pay off their balance in Canadian dollars. 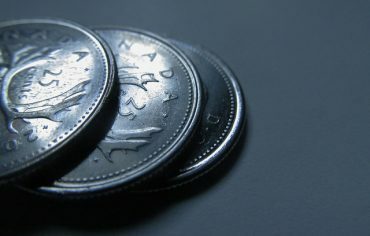 Most Canadian banks and credit unions offer some form of US dollar accounts. Some offer US dollar credit cards as well, which allow you to sidestep conversion rates and currency exchange service charges. A US dollar credit card is suitable for frequent travellers, cross-border shoppers, snowbirds, and online shoppers – basically, anyone who makes purchases in US dollars on a regular basis. Any Canadian resident can apply, as the requirements for obtaining a US dollar credit card are the same as for any other Canadian credit product. 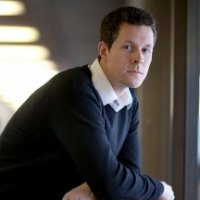 Customers avoid the foreign transaction fee (the extra 2.5% tacked onto regular exchange rates) as well since they can pay off their card in USD or CAD. It’s important to note that if you choose to pay off the balance on your US dollar credit card with Canadian dollars, you’ll first have to convert your money to US dollars – which comes at a cost. That means this option may not be ideal for Canadians who don’t earn any income in US dollars or don’t regularly have US cash in a bank account. Best suited for: Individuals or small business owners who want to keep US purchases and statements separate from their day-to-day banking in Canada or who carry US dollars. A US credit card issued by a US bank is a great way to ensure you can make purchases, pay bills, and get access to your money when you need it most. You can also avoid foreign transaction fees in the US when you make spend and pay bills in the same currency. In order to apply for a US domicile card, Canadian residents must have an American address. These credit cards are issued based on the applicant’s credit history in the US. Both RBC and TD Canada Trust now offer accounts that overcome these hurdles, pairing them with a U.S. dollar credit card. They let you pay U.S. bills online, use American ATMs without access fees (PNC Bank ATMs in the case of RBC and 1,300 ATM locations in the East Coast for TD) and make it easy to transfer money among the accounts. Dealing with banks with operations on both sides of the border is an advantage because they’ll help you leverage your Canadian credit history to obtain a credit card, mortgage loan, or line of credit in the US. If you plan on moving south for the long term, having a US credit card issued by a US bank is an excellent way to begin building your US credit history. Best suited for: Snowbirds, or those with broader ties to the US, who want to build and maintain a US credit history.